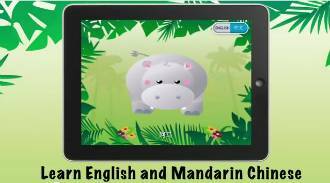 On July 3, 2012, Soybean Street, an educational games company from Silicon Valley in the USA, announced the launch of Animal Fun: Chinese for Kids, a new language-based gaming application that aims to make learning new languages a blast for kids of all ages. You can pick up this popular app on the ITunes store for just $1.99. It is available for all iOS devices and gives kids a fun introduction to learning Chinese and English through the use of 101 globally recognised animal characters, all set in their natural environment. Company founder and mother to three small children, Helen Chan, believes strongly in creating a bilingual learning environment for kids. She maintains that it gives them an edge in today’s competitive world by developing their communication skills and understanding of other cultures.